We were proud to name Gary Spears, IT Director at Medtronic one of Appirio’s Cloud Pioneers in 2011. As a member of the Medtronic team since 2006, Gary has been the leading force behind Medtronic’s sales IT architecture overhaul. Medtronic, the world’s largest medical technology company ranked among the Fortune 500, began working with Appirio to create a ‘hub and spokes’ like architecture with a single Salesforce master CRM system feeding multiple Salesforce instances at the individual business level. This created data consistency across the company and providing unparalleled opportunities for collaboration and dialogue between various business units and geographies. I sat down with Gary to get his take on the business transformation taking place at Medtronic and what it means be named a Cloud Pioneer. 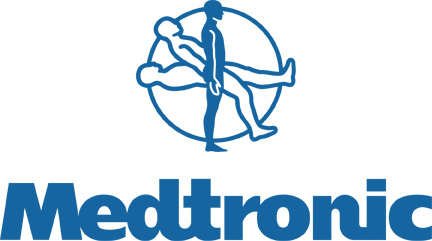 Q: Can you tell me a little about Medtronic’s business and the challenge you have addressed with Salesforce.com? A: Medtronic is the largest medical device company in world and in recent years, we had noticed that growth in two of our major business areas had slowed dramatically. Additionally, our customer-base shifted from being primarily physicians to include hospital procurement departments and individual patients. For the first time, we recognized a need to raise brand awareness among all three constituents. We needed to organically increase growth and revenue while being cognizant of the paradigm shift taking place in both the economy and the medical field. Salesforce Sales Cloud allowed us the flexibility to architect a platform that would unify data across the organization, providing greater visibility into all accounts and ultimately allowing us to organically grow our brand. 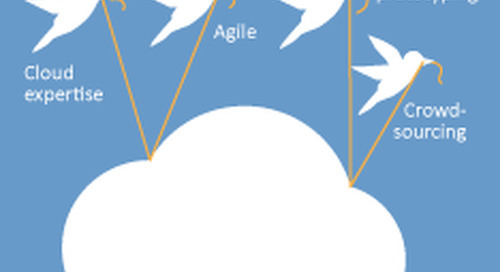 Q: How has “working in the cloud” changed the way Medtronic does business? A: It’s changed a lot, but I think there are two things that stand out about working in the cloud. First, it has changed the way we think about data and how important it is to our business success. When you expose data the way we have, you open the kimono a little bit and you begin to realize that garbage in equals garbage out. So while we have gained transparency across all areas of our business we’ve also gained an appreciation for our data challenges, which we didn’t even know existed six months ago. Second, as we continue to learn new things about our data, the beauty of working in the cloud is the speed and flexibility. The Medtronic sales team operates near the speed of light. Working in the cloud allows us to keep up with their furious pace and the platform allows us to maintain that pace and better satisfy the needs of our field teams than we were able to do in the past. A: Traditionally, Medtronic has been a very conservative organization–risk averse, hesitant to push the envelope–so with an undertaking like this, it didn’t hurt that I wasn’t opposed to getting a little beat up along the way. But in all seriousness, our leadership team recognized that we could do this the right way now or have to redo it at 3-4 times the expense a few years down the road. With our new CEO touting individual accountability throughout the organization, our IT vision aligned nicely with the corporate vision being driven both by the executive team and the needs of our individual geographies and business units. Getting buy-in from both the business unit and executive level allowed the IT team to drive the vision with both top-down and bottom-up support. A: Working with Appirio has been a very good experience for myself and the Medtronic team. The talented group of consultants they have dedicated to us has provided the thought leadership and expertise we need, since our internal team is small and new to this Salesforce architecture. The Appirio team has guided us through our challenges and provided access to other experts and executives within the organization when our needs called for it. In comparison with other vendors I have worked with, including some of the largest Global SIs, working with Appirio has been a very positive experience. Q: What future plans does Medtronic have? A: We’re absolutely driving toward a more social and mobile enterprise. Medtronic as a company is moving toward phone choice in the field across all different apps, including sales, HR, supply chain, etc. We want any employee to be able to walk into a mobile store, pick a device and access any of our business applications at the touch of a button. On the social side of things, we have an individual completely dedicated to working on our social enterprise strategy. We already have four or five instances of Radian6 in place helping us monitor and listen to our customers and get a better sense of our brand awareness and presence. In terms of internal collaboration, I recently heard the phrase ‘if you don’t Chatter, you don’t matter’. It’s catchy and we agree that Chatter will likely have a significant impact internally, but right now we are trying to determine our strategy behind Chatter, how we comply with industry regulations and what the economic value will be to Medtronic in implementing Chatter. We know enough to recognize that we need a strategy behind our social enterprise efforts. Q: You were named one of our 2011 Cloud Pioneers. What does being named a Cloud Pioneer mean to you? A: It means that myself and Medtronic are going places we haven’t gone before. While we have always been extremely innovative in our R&D efforts–bringing trailblazing new treatments to patients–that has been our focus and we have been more neglectful of our own internal systems and processes. With this project, we are changing that through IT thought leadership within our own walls. I have spoken a lot to other suppliers and vendors in recent months and continually get the same reaction, ‘you’re doing what?’. They are amazed with our IT and business innovation and our ability to push boundaries. We’re definitely still figuring things out, but the beauty is that the platform and architecture we have chosen gives us the flexibility to make changes along the way and play with it until we get it right.